Cut lengths of wool for the hair, and lay them together. Fold them in half. 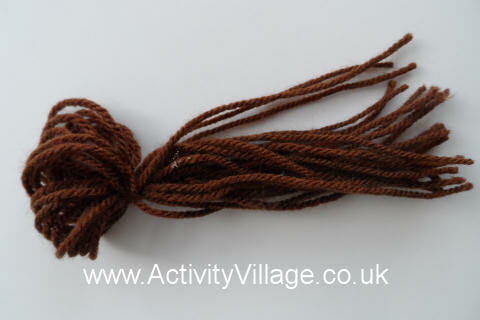 Now cut a short length of wool and tie it around the lengths to make a bun. The "free" ends of the wool will form the ballerina's fringe. Glue the wool to the spoon so the bun sits on the back of the head and the ends form the fringe (they may need trimming when the glue dries). 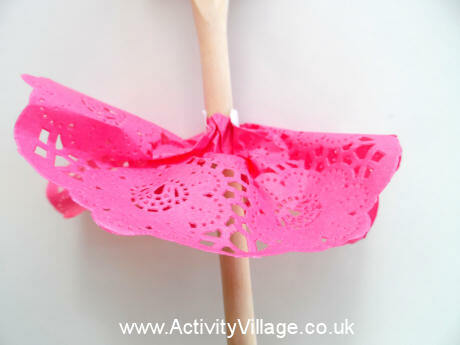 Make a small hole in the doilie and thread onto the spoon handle. Tape into place so it sticks out to form the tutu. Cover one side of the ribbon with glue. 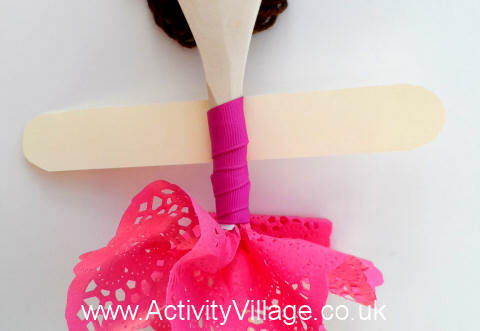 Wrap the ribbon around the handle, covering the tape on the 'tutu' to hide it. Cut a rectangle from card and cut the ends into curves. 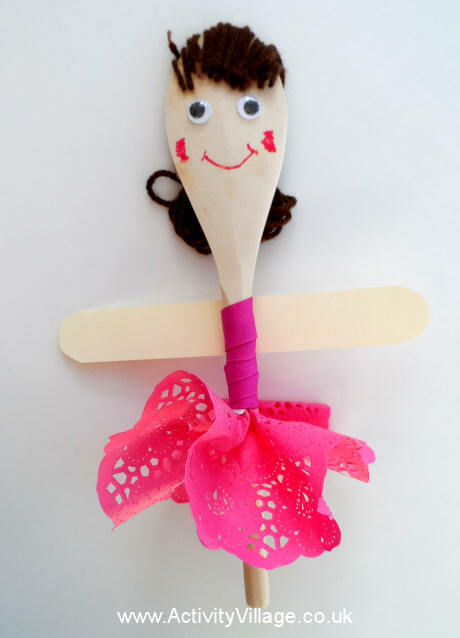 Glue to the back of the spoon to form the ballerina's arms. Stick on the eyes and draw on her mouth and cheeks.